UMI-Sci-Ed aims to empower youngsters to think creatively, apply new knowledge in an effective way, become continuously competitive in a highly demanding working environment. The ability to switch efficiently between different disciplines such as science disciplines depends on processing effectively the educational material based on clearly defined outcomes, expanding a broad repertoire of ICT communication, problem solving and decision-making skills, and using the collective knowledge represented in networks, based on working environments. The orientation of UMI-Sci-Ed is entrepreneurial and multidisciplinary in an effort to raise young boys’ and girls’ motivation in science education. 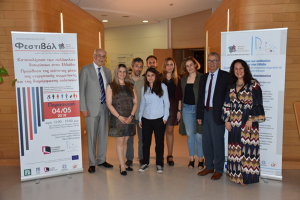 Α one-day festival on combating discrimination against stereotypes and prejudices and promoting respect for diversity and human rights was organized by the DAISSy research group of HOU on Friday 4 May 2018 in the amphitheater of the new Archaeological Museum of Patras. 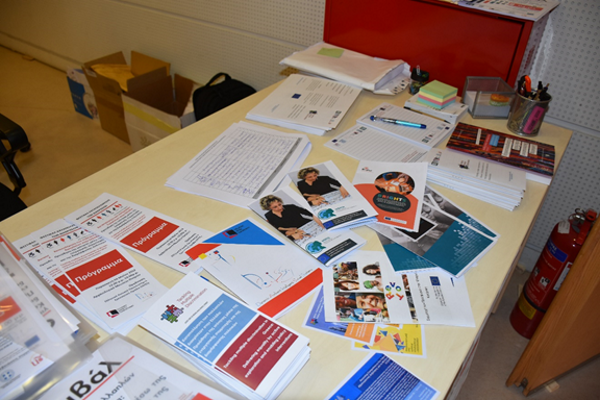 The festival was among the awareness raising activities implemented by the project “Tackling multiple discrimination in Greece: Delivering equality by active exploration and enabling policy interventions” (project number JUST2015RDISAGDISC9507), which is coordinated by the National Centre for Social Research (EKKE) with HOU participating as partner. 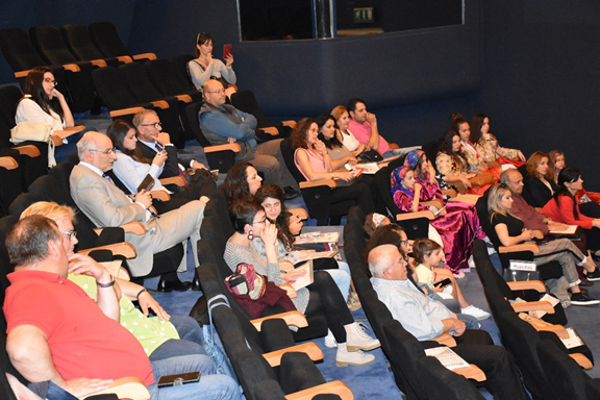 The main objectives of the festival were the exchange of good practices on combating discrimination and the development of dialogue about human rights and the content of European and national policy on multiple discrimination. During the festival, interesting speeches on the types of multiple discrimination and the extent to which they appear in Greece were delivered by EKKE researchers, followed by the presentation of related good practices and projects by an excellent group of researchers, project managers, teachers, cultural educators, activists and volunteers. The speakers highlighted good practices in combating stereotypes in vulnerable groups, application of effective “tools” in this field as well as successful examples of actions exploiting diversity as a parameter of further activation for the benefit of both personal development and the progress of society as a whole. 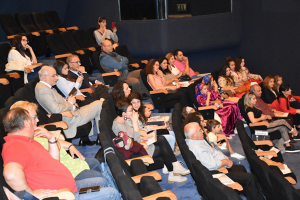 During the second part of the festival, local Associations of Migrant Communities played a leading role by carrying out cultural activities aiming at highlighting human values and solidarity among all people. The festival attracted about 60 participants from public and private organizations of the Region of Western Greece, including Education Directors, School teachers, NGO owners, VET managers, Cultural organization managers, Journalists, Researchers, Students and Volunteers. All of them received the WEMIN project brochure as part of their conference pack; many of them expressed strong interest in the project and were given the project contact points for further information. 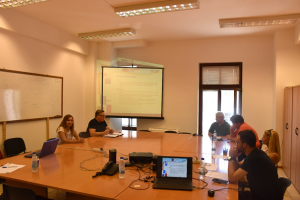 A focus group involving thirteen low-skilled adults took place in Patras, Greece, on June 6, 2018. 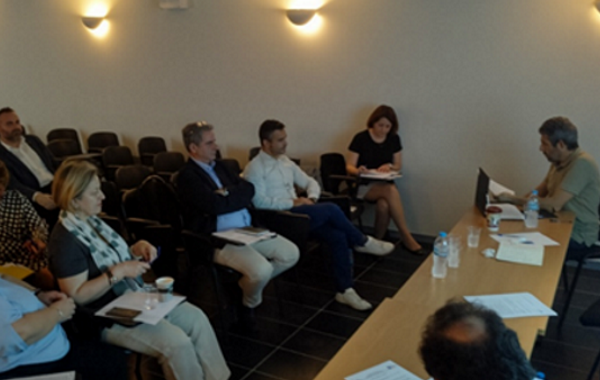 The focus group took place at noon (12:00 – 14:00) at the Patras premises of the Hellenic Open University, a convenient location near the city centre. Four of participants were unemployed, four of them were employed, three were migrants, one elder – retired, and one student. Among them, there was also a person representing a rehabilitation and integration social enterprise. Eight out of the thirteen participants were women. The focus group ran with the support of one facilitator (Nick Achilleopoulos) and one observer (Panagiota Zafeiropoulou) from Hellenic Open University. The facilitator presented the objectives of DCDS project and the purpose of the focus group. Additionally, he informed the participants about the focus group method and the ground rules. After that, the main discussion session was conducted, lasting approximately 90 minutes; in the following, the most important findings are summarized. Most of the participants agreed that the digital transformation has helped a lot people who are already familiar with technology but has also created serious problems to people who are not. Usually, the capability of adults to use effectively and properly technologies increases together with their educational level, although elder people may display negative stance about having to learn to use digital technologies. 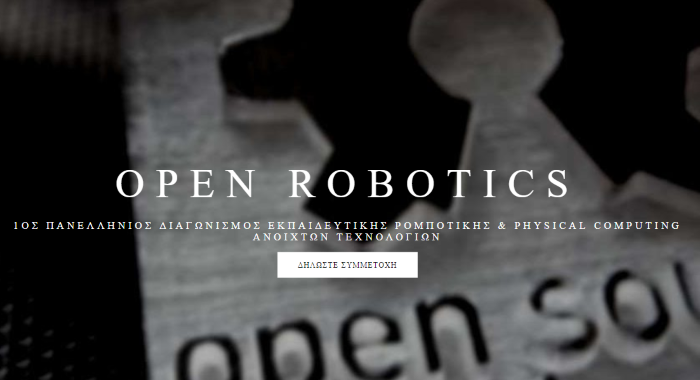 Overall, the Greek society does not seem to be ready for the digital transformation. Most of the focus group participants agreed that they understand technologies and use them mainly for acquiring knowledge, recreation and serving their daily needs. They would like to improve their digital competences mostly to serve their daily and professional needs. In general, low-skilled adults need to improve their basic skills, whereas middle and high-skilled adults should focus on specialization. A common problem the participants face with digital and online services is the perception that they are consumed by technology, instead of them using it. Moreover, they are afraid of their personal data being misused because they consider digital technologies as non-credible. Most of the people participating to this focus group prefer distance learning, preferably with the support of a tutor. This type of learning should be accompanied with project works (assignments) and a pre-assessment of their skills related to the use of online learning platforms. The learning contents should be mostly interactive and include videos. People without previous experience in online learning were also excited with the idea of learning through videos and interactive materials. Migrants would like videos to come with subtitles in their mother tongue. Learning through online means should be based on easy-to-use platforms and supported by an online tutor. Last, given that most employers acknowledge the value of certification, participants would like to receive a certificate at the end of training, to use it for professional purposes. Unfortunately, the social competences and most competences that are developed through experience, as well as prior experience, are not accredited. 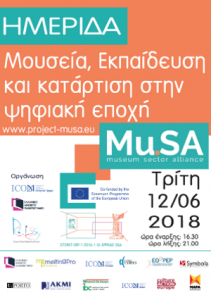 Tο Ελληνικό Τμήμα του ICOM ως εταίρος του έργου Mu.SA: Museum Sector Alliance, σε συνεργασία με την ερευνητική ομάδα DAISSy Research Group του Ελληνικού Ανοικτού Πανεπιστημίου, σας προσκαλεί στην Ημερίδα με τίτλο «Μουσεία, εκπαίδευση και κατάρτιση στην ψηφιακή εποχή», την Τρίτη 12 Ιουνίου 2018, ώρες 17:00-­‐21:00, στο κτήριο του ICOM στην οδό Αγ. ημερίδας Ασωμάτων 15, Θησείο. ALL DIGITAL Week 2018 turned out to be one of the most successful campaigns – it united 4,070 partners from 32 countries to offer 5,445 events to over 125,000 participants. Read the entire story here. ALL DIGITAL Week was led by our national partners in 26 countries. You can see the overview of activities in each country where we had a national partner by clicking on the flag. There you can also see the links to blogposts, photos, some media coverage, and information on past editions. 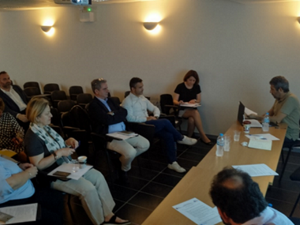 A focus group involving ten policy makers (mainly) and training providers took place in Athens, Greece, on May 3, 2018. 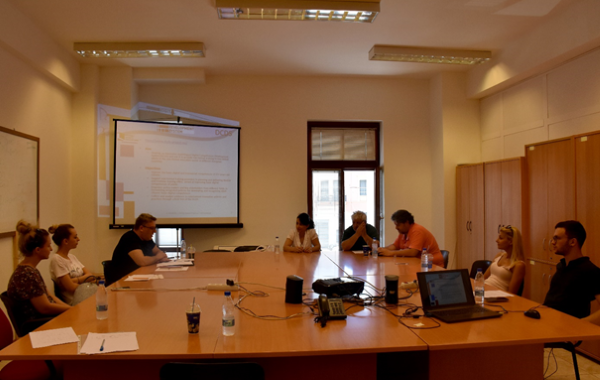 The focus group took place in the afternoon (17:30 – 19:30) at the Athens’ Premises of the Hellenic Open University, a convenient location near the city centre. 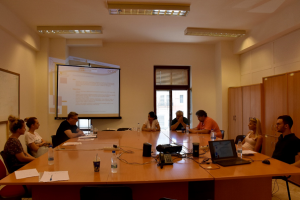 Eight of the participants were representatives of governmental bodies (including the Ministry of Employment, the Ministry of Administrative Reform, the Ministry of Digital Policy, Telecommunications and Media, the Ministry of Economy and Development, the National Centre for Social Research, the Hellenic Telecommunications and Post Commission, the General Secretariat of Coordination) and two were stakeholders from the Adult Learning market. Four out of the ten participants were women. The focus group lasted almost two hours and led to fruitful discussions between the participants. 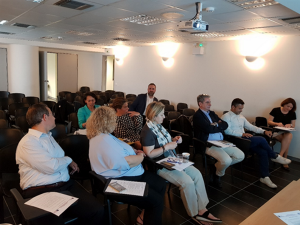 The focus group ran with the support of one facilitator (Achilles Kameas) and two observers (Spiros Borotis and Nick Achilleopoulos) from the Hellenic Open University. The facilitator presented the objectives of DCDS project and the purpose of the focus group. Additionally, he informed the participants about the focus group method and the ground rules. 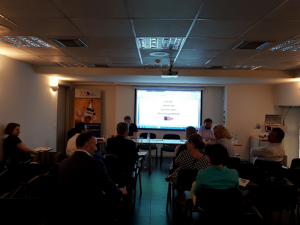 After that, the main discussion session was conducted, lasting approximately 90 minutes; in the following, the most important findings are summarized. Most of the participants agreed that the basic digital competences are important for the social inclusion of adult citizens, as their existence facilitates their participation to the community and exploitation of digital services. 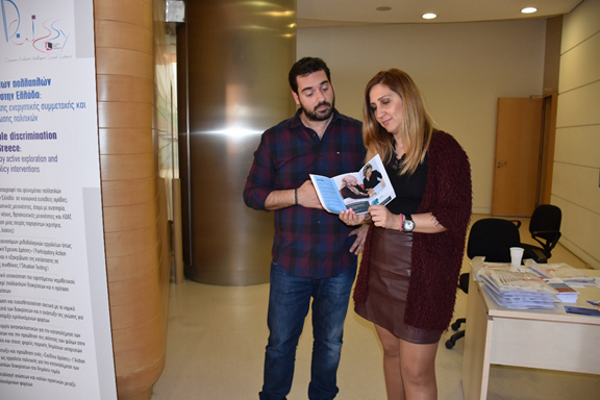 Recent data indicate that more than 65% of NEETs or young people, among those who were following apprenticeship programs, in order to develop their digital competences, found a job. This finding justifies the significance of acquiring digital competences nowadays. In general, the groups of the population that DCDS should target include people belonging to vulnerable groups (especially those culturally differentiated, e.g. 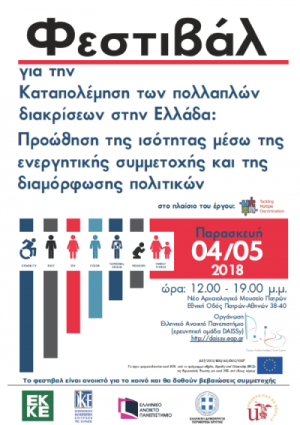 Roma, people with disabilities, (recent and long-term) unemployed, people at risk of poverty, people with chronic disorders, immigrants and migrants, women, single parent families, etc), people aged 45+, unemployed (and especially recently unemployed), etc. An additional group identified includes the people working in high-level positions (e.g. CEOs, traditional media manager, elder academics, artists, judges, public servants, etc) who are ashamed to declare their lack of digital skills. It worth to mention that every attempt to “bridge the digital divide” should not be accomplished once, but should be repeated frequently on a regular basis, as digital skills require continuous updating and practical implementation. The establishment of a national strategy (including a “set of rules” for training, accreditation, etc) by the Ministry of Digital Policy that would create a common ground is required. In addition, a change in the Greek mindset is required, i.e. to change this latest tension of “computerising” everything and focus more on user (human) – friendly technologies. This priority should be included in every attempt of developing and adopting information system, including the self-assessment tools mentioned earlier. Apart from the “supply” side mentioned, this change in the mindset should also be implemented in the “demand” side, i.e. the users should recognize and adopt digital technologies in their daily work duties, without asking for additional motivations. Σας ενημερώνουμε για τη διοργάνωση του Θερινού Σχολείου «Το Διαδίκτυο των Πραγμάτων … στα χέρια μας» για μαθητές Β/θμιας Εκπαίδευσης (14-16 ετών), στο τέλος του σχολικού έτους 2017-2018 και την αρχή των θερινών διακοπών τους (25-28 Ιουνίου 2018). Το Θερινό Σχολείο διοργανώνεται από το Ευρωπαϊκό Πρόγραμμα UMI-Sci-Ed (Horizon2020) με στόχο την ανάπτυξη γνώσεων, δεξιοτήτων, στάσεων και κυρίως την επαφή των μαθητών με νέες, εξειδικευμένες, για τη βαθμίδα εκπαίδευσης που βρίσκονται, τεχνολογίες. Ο Πανελλήνιος Διαγωνισμός Εκπαιδευτικής Ρομποτικής & Physical Computing Ανοιχτών Τεχνολογιών (https://robotics.ellak.gr/) έχει ως στόχο την εισαγωγή στην εκπαίδευση υλικού και λογισμικού που ανοίγουν ορίζοντες, ενθαρρύνουν την δημιουργικότητα των μαθητών, δεν θέτουν φραγμούς στην επινοητικότητα και την πρωτοβουλία τους και δεν προωθούν σε μαθητές και τις οικογένειες τους προϊόντα συγκεκριμένων εταιρειών. Ο Διαγωνισμός είναι μη κερδοσκοπικού χαρακτήρα και απευθύνεται σε ομάδες μαθητών και εκπαιδευτικών της Πρωτοβάθμιας και Δευτεροβάθμιας Εκπαίδευσης (Δημοτικά, Γυμνάσια, Λύκεια και ΕΠΑΛ). Ο διαγωνισμός αφορά στη δημιουργία έργων με τη χρήση ανοιχτών τεχνολογιών και ανοιχτού λογισμικού (Open Design, Open Software & Open Hardware), και την παραγωγή σχετικών ανοιχτών εκπαιδευτικών πόρων, με στόχο τη βελτίωση της εκπαιδευτικής διαδικασίας ή/και της τοπικής οικονομίας-κοινωνίας. Η θεματολογία μπορεί να περιλαμβάνει έργα αυτοματισμού, φωτισμού-ήχου, αισθητήρων-περιβάλλοντος, κατασκευές που φοριούνται (wearables), ψυχαγωγίας, υγείας-ευεξίας, εξοπλισμού εργαστηρίων, εκπαιδευτικών χρήσεων και εκπαιδευτικών εφαρμογών. Ενδεικτικά ο εξοπλισμός μπορεί να είναι Arduino Uno- Raspberry Pi 3 Type B, beagleboard, Dwenguino, Thymio και όποια άλλη ανοιχτή τεχνολογία είναι αποδεκτή ως ισοδύναμη. Όσοι/ες ενδιαφέρονται να συμμετάσχουν, παρακαλούνται να επισκεφτούν την ιστοσελίδα https://robotics.ellak.gr/. 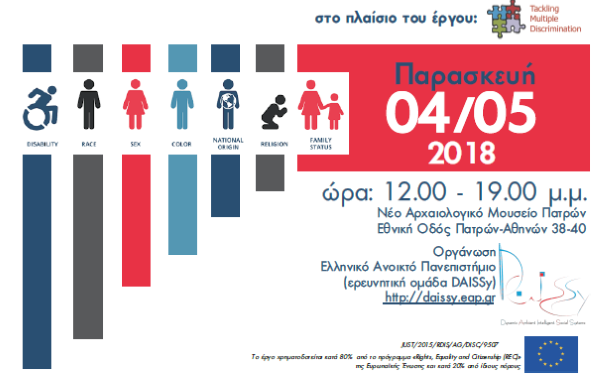 Η Συντακτική Επιτροπή του Περιοδικού «Επιστήμη και Κοινωνία» σας προσκαλεί σε εκδήλωση με θέμα «Φτώχεια, Ανισότητες και Μελετώντας την Ελλάδα της Κρίσης (Ρατσισμός -Ξενοφοβία- Συνωμοσιολογία)». Η εκδήλωση διοργανώνεται από το Ελληνικό Ανοικτό Πανεπιστήμιο (ερευνητική ομάδα DAISSy) σε συνεργασία με το Εθνικό Κέντρο Κοινωνικών Ερευνών, με αφορμή την κυκλοφορία του 36ου και 37ου τεύχους του Περιοδικού και θα λάβει χώρα την Πέμπτη 17 Μαΐου 2018, ώρα 18:00, στις εγκαταστάσεις του ΕΑΠ στην Αθήνα, Γραβιάς 4 –6 (Ά όροφος Αίθουσα εκδηλώσεων), Αθήνα. Η εκδήλωση θα μεταδίδεται μέσω Διαδικτύου. Για να την παρακολουθήσετε πρέπει να συνδεθείτε μέσω Skype for Business στη διεύθυνση εδώ . Οδηγίες και εγχειρίδια χρήσης του Skype for Business θα βρείτε εδώ. Όσοι δεν διαθέτετε λογαριασμό Office365 του ΕΑΠ, μπορείτε να συνδεθείτε ως επισκέπτες (guests) μέσω του Web App (plugin στο πρόγραμμα περιήγησης). Η συμμετοχή είναι δωρεάν. 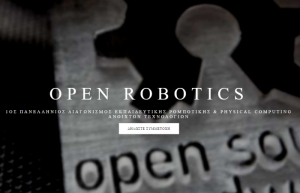 Στους συμμετέχοντες δια ζώσης ή μέσω Διαδικτύου θα δοθεί βεβαίωση συμμετοχής. Για να συμμετάσχετε παρακαλούμε να εγγραφείτε στη φόρμα που βρίσκεται εδώ. Κατεβάστε τη πρόσκληση πατώντας εδώ. Το φεστιβάλ είναι ανοιχτή δράση που απευθύνεται τόσο σε εκπροσώπους φορέων, οι οποίοι στο πλαίσιο της δραστηριοποίησής τους ενεργούν προς όφελος της ισότητας, καταπολεμώντας στερεότυπα και διακρίσεις, όσο και στο ευρύ κοινό. Θα περιλαμβάνει παρουσιάσεις καλών πρακτικών φορέων καθώς και πολιτιστικά δρώμενα, όπου πρωτοστατούν οι Σύλλογοι των Μεταναστευτικών Κοινοτήτων της Πάτρας. Παράλληλα θα είναι σε εξέλιξη έκθεση συναφούς ενημερωτικού υλικού που αφορά στο έργο καθώς και στις δραστηριότητες συναφών φορέων και οργανώσεων. Το έργο αναφέρεται στην καταπολέμηση των πολλαπλών διακρίσεων στην Ε.Ε, που συνιστά ένα βασικό τμήμα των δράσεων της κοινωνικής πολιτικής. Συνδυάζει ερευνητικές δραστηριότητες με κοινωνική παρέμβαση και δράσεις δικτύωσης – ευαισθητοποίησης του ευρύτερου κοινού (εργαστήρια δικτύωσης με τοπικούς φορείς, διοργάνωση info-day και φεστιβάλ) αναφορικά με την καταπολέμηση των στερεοτύπων. Συντονίζεται από το Εθνικό Κέντρο Κοινωνικών Ερευνών (ΕΚΚΕ), με φορείς εταίρους το Πανεπιστήμιο της Σεβίλλης, το Ελληνικό Ανοικτό Πανεπιστήμιο, την Οικονομική και Κοινωνική Επιτροπή (ΟΚΕ) και την Περιφέρεια Κρήτης. Κύριος στόχος του φεστιβάλ είναι η ανταλλαγή καλών πρακτικών σχετικά με την καταπολέμηση των διακρίσεων, η ανάπτυξη διαλόγου με βάση τα ανθρώπινα δικαιώματα και το περιεχόμενο της Ευρωπαϊκής και εθνικής πολιτικής για τις πολλαπλές διακρίσεις. Απώτερος στόχος είναι η δικτύωση για ανάπτυξη οριζόντιων παρεμβάσεων και κατευθύνσεων πολιτικής για την καταπολέμηση των διακρίσεων καθώς και η ενημέρωση και η ευαισθητοποίηση της κοινωνίας των πολιτών. Η συμμετοχή στο φεστιβάλ είναι ανοιχτή στο ευρύ κοινό, είναι δωρεάν και θα δοθούν βεβαιώσεις συμμετοχής από το ΕΑΠ με το πέρας των εργασιών.